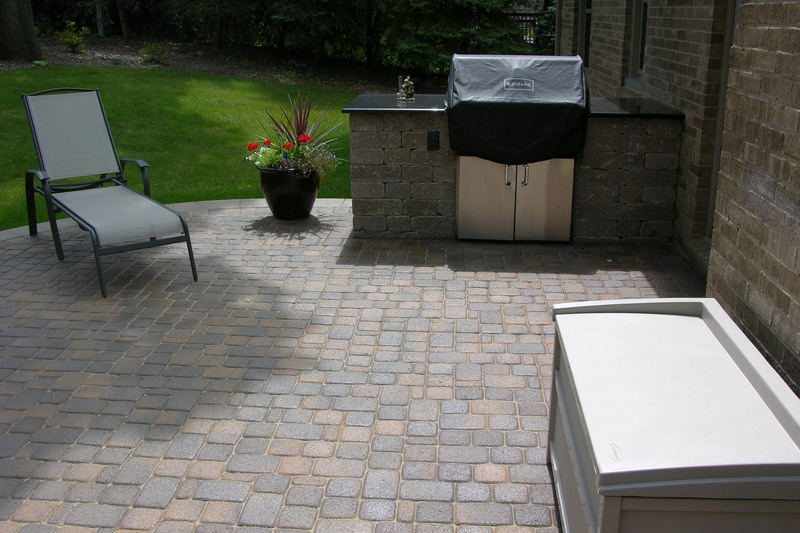 As the economy continues to gain momentum, homeowners will be adding outdoor kitchens, fire pits and fireplaces for outdoor entertaining in 2013 according to a new survey of leading members of the American Society of Landscape Architects (ASLA). The informal survey conducted in December, identified on the top of the list for homeowners are fire pits and outdoor fireplaces. Homeowners are requesting landscape architects and designers to design complete outdoor rooms, such as kitchens and bars, for entertaining. Water features such as koi ponds, pools, and fountains continue to be popular. Steve Martino, FASLA, of Phoenix—recipient of both the ASLA Design Medal and the ASLA Residential Design Award of Excellence in 2006—cites private living spaces, outdoor rooms, and water features as top homeowner requests. Although we are not blessed with a long warm season like some other areas of the country, enjoying your backyard to its fullest is still of high demand here in Michigan. We see more and more clients asking for these new trends. Along with the increase in luxury items for the common person, people are just staying home more. Rather than go on trips, or go to the local restaurant, people want to entertain family and friends in the comfort of their own home. And, rather than being confined to the interior of their home, people want to enjoy their yard as well. 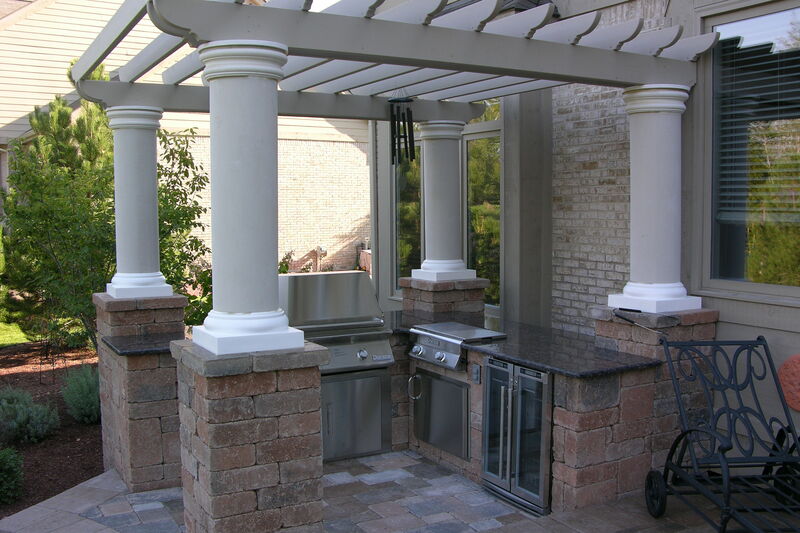 Outdoor kitchens can be created as nice as any indoor kitchen. Sinks, electricity, and weather protection can make preparing that perfect meal. The appliances and other necessities for the kitchen can be supported in several different ways. 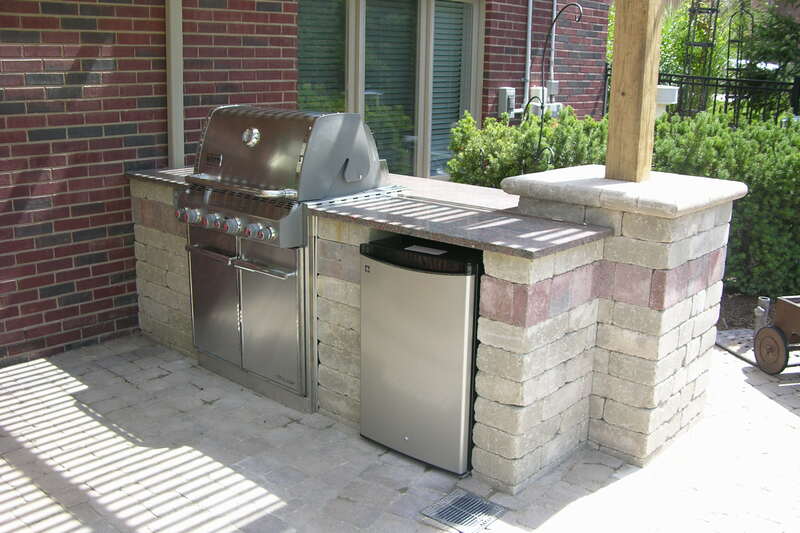 Manufactured concrete walls, cement block with a stone or stucco face, and even outdoor kitchen cabinetry from Atlantis (www.outdoor-kitchen-cabinets.com/atlantis) can be used. Countertops are usually done in granite, but other choices like concrete can be utilized. 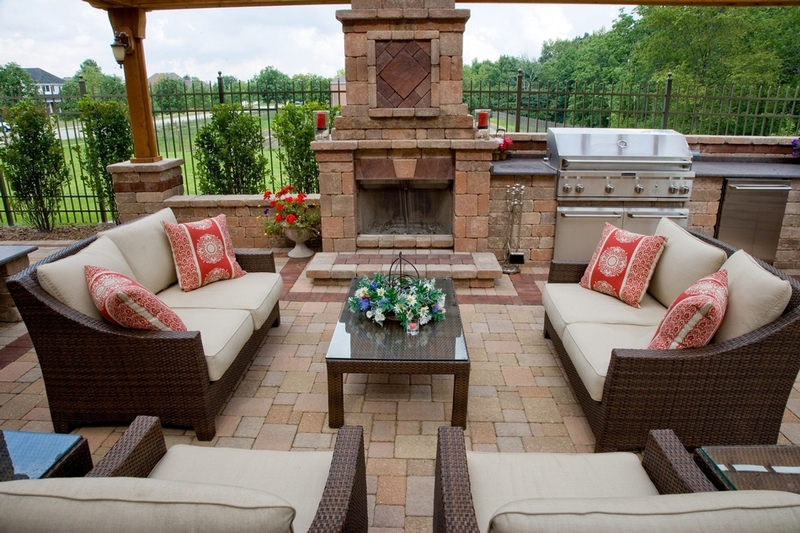 Extending the patio season later in the fall has become very common with the use of fireplaces, fire pits and other warming devices. As with interior fireplaces, exterior ones can take on many looks. 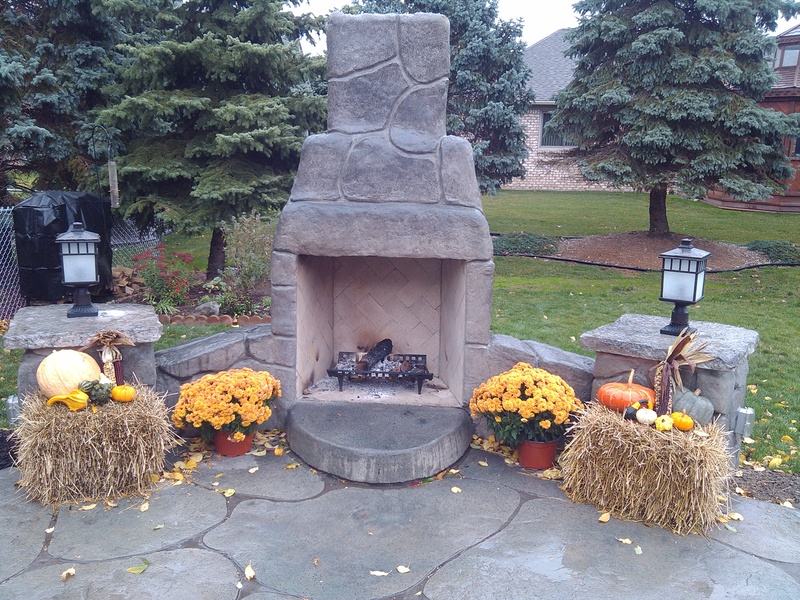 These backyard center pieces can be made out of manufactured decorative concrete blocks, stone, and brick. Exterior fireplaces can also be either natural wood burning or gas. Fire pits can also be natural wood burning or gas, but are usually more informal of a center piece as compared to a fireplace. 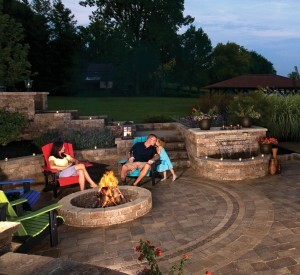 The advantage of a fire pit over a fireplace is the 360° seating and lower cost installation. The disadvantage of a fire pit is smoke control in a real wood burning application. Adding one or many of these features will definitely not disappoint and be well worth the money. 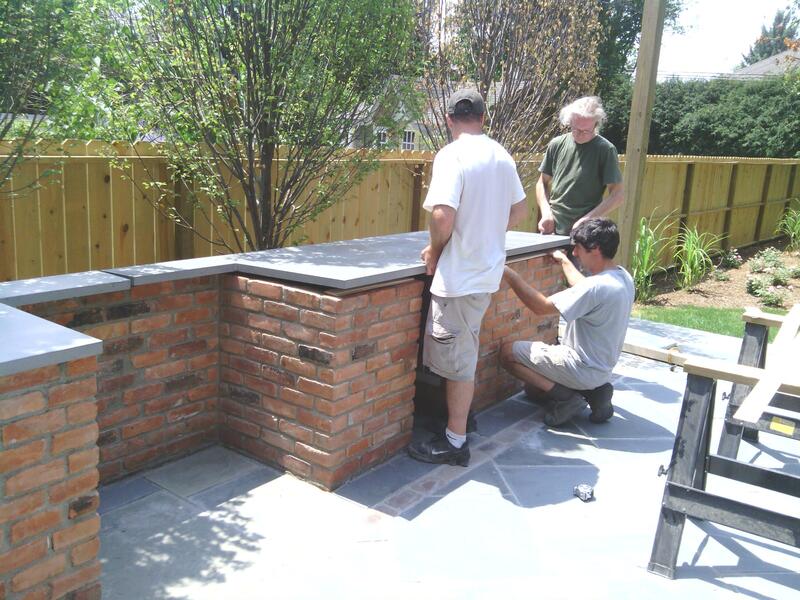 We were created to be exterior creatures and incorporating an outdoor kitchen, fireplace, and/or fire pit will draw you, your family and friends outdoors. This entry was posted in Landscape Features on April 22, 2013 by admin.